Dessert can be easy with a few ingredients, especially if you have some basic staples on hand already like we mentioned a few weeks ago. Fruit becomes extra delicious as a simple parfait. Create one yourself, or get the whole family involved and let each member layer his or her own. 1. FRUIT – Choose one or more types of fruit. Wash and cut fruit into bite-sized pieces. 2. 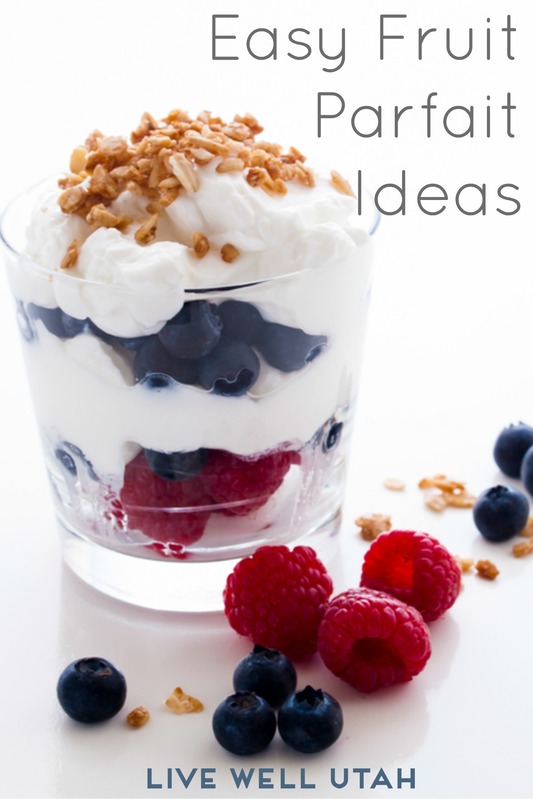 BASE – Choose one or more base ingredients like yogurt (Greek), cottage cheese, oats or pudding. 4. Layer base, fruit and toppings. Enjoy! Click over to enjoy fruit easily in two other ways, plus get lots of ideas for different fruits to try. What are some of the ingredients you enjoy in a parfait?